Lingard is competing for a place in Southgate's starting line-up at the World Cup and he has been handed an opportunity to impress at Wembley this weekend. With only two friendlies before England kick off their World Cup campaign in Russia, Lingard is battling with Tottenham's Dele Alli and Manchester City's Raheem Sterling to fill the roles as support for star striker Harry Kane. Lingard had an inconsistent season with United, but Southgate is a fan of the 25-year-old. 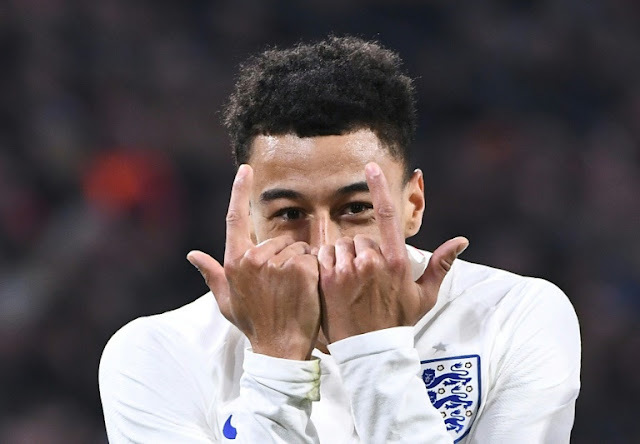 England boss Southgate told a press conference on Friday that Lingard will face Nigeria, insisting he hadn't made up his mind who will feature when his team face Tunisia in the World Cup opener on June 18. "I don't see it as a straight contest between any individual, absolutely they could play together," Southgate said. 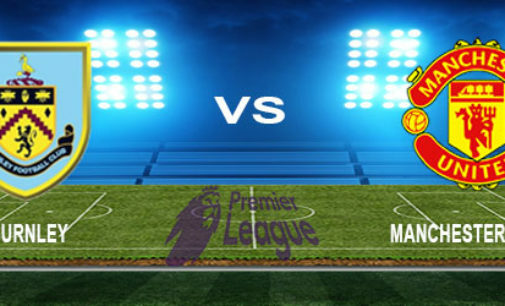 It was a physical encounter with the home side’s players being on the receiving end, in comparison to previous matches involving Man City, of some hefty challenges. 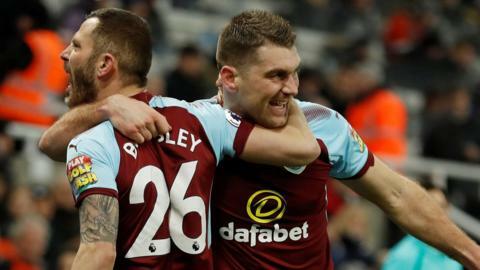 Ashley Barnes, Sam Vokes, Nick Pope and Phil Bardsley all had to receive treatment in the first-half for various niggles but thankfully were all okay to continue. Manchester City continued their theme of dominancewhich was visible against Cardiff and West Brom, seeing the vast majority of possession and chances in the first 45 minutes but unusually lacked the final product to take advantage. Vincent Kompany and Ilkay Gundogan couldn’t connect well with balls from Bernardo Silva as the 'Sky Blues' would go on to rue these missed chances. As Sean Dyche’s team has one of the best defences in the Premier League, it appeared as if only a sensational goal would break the deadlock this time around. Pep Guardiola's side did not disappoint as Danilo's stunning strike in the 21st minutegave the visitors the lead. 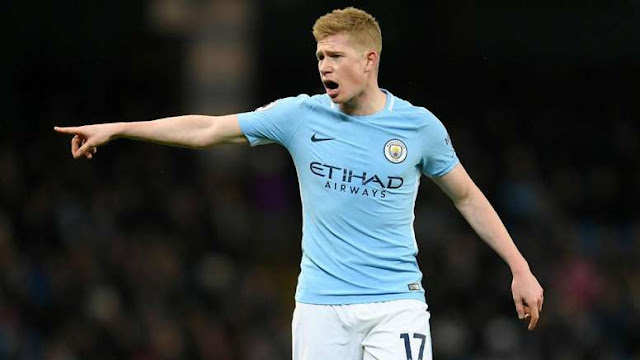 Kevin De Bruyne slammed James McClean for a crude attempted tackle in Wednesday's feisty clash between Manchester City and West Brom, saying the "ball wasn't in the neighbourhood". City ran out comfortable 3-0 winners, but much of the attention after the match was on West Brom's tackling. Substitute Brahim Diaz was on the end of a strong Matt Phillips challenge five minutes from time which left Pep Guardiola angry. Phillips only received a booking for his tackle, the same punishment dished out to McClean 22 minutes from time, when he made a callous attempt to bring De Bruyne down on the break with a studs-first lunge, but luckily for the Belgian, the contact was minimal. De Bruyne was not aware quite how ugly McClean's challenge was until seeing a replay after the game and he was not particularly impressed with the winger's conduct. "I didn't know the tackle was like that," De Bruyne told reporters. FA Cup fourth round tie between Liverpool and West Brom at Anfield. Jurgen Klopp looks set to be without a trio of players for this one. Adam Lallan has suffered an injury setback, whilst Ragnar Klavan and James Milner also look set to miss out through illness and a dead leg respectively. Nathaniel Clyne is thought to be making good progress as he recovers form a back problem but he is still not training with the rest of the squad. Captain Jordan Henderson is back in training and could get the nod in this one, whilst Dejan Lovren is also back available. Simon Mignolet will be given the chance to stake his claim between the sticks. The 'Baggies' are thought to be suffering after a flu bug swept through their camp, with Ben Foster, Ahmed Hegazi, Gareth McAuley, Jay Rodriguez, Sam Field and James McClean are all struggling to be fit for the game, meaning the likes of Boaz Myhill, Oliver Burke and Hal Robson-Kanu. 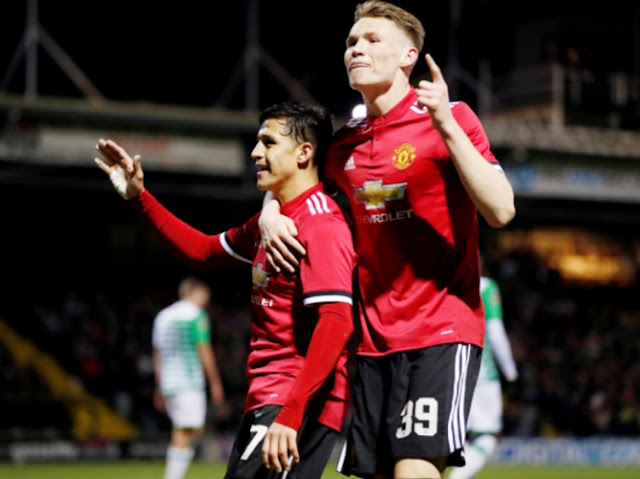 Marcus Rashford, Ander Herrera,Jesse Lingard and Romelu Lukaku were United so seal their place in the draw for the FA Cup fifth round as they eased past Yeovil Town on Friday night. Arsenal boss Arsene Wenger says Alexis Sanchez should not be considered a "mercenary" for opting to join Manchester United rather than renewing his contract at the Emirates Stadium. Sanchez made the move to Old Trafford on Monday, with Henrikh Mkhitaryan switching the other way in a swap deal. The Chilean is reported to be earning £350,000 a week at Old Trafford, vastly in excess of Arsenal's top-earning players, having entered the last six months of his Gunners contract without penning fresh terms. 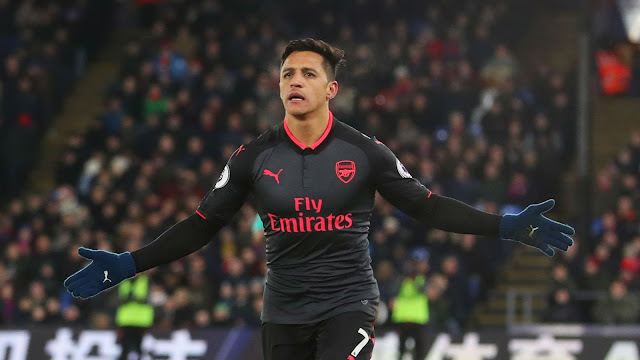 Wenger previously appeared to suggest Sanchez had moved for money, citing the forward's desire to secure "his last contract" and claiming he "cannot understand" why the 29-year-old wanted to leave Arsenal. 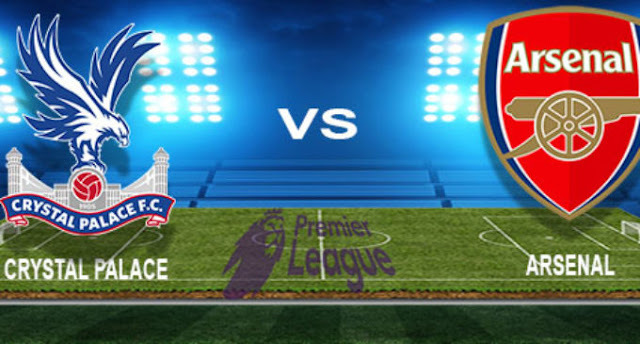 Premier League clash between Arsenal and Crystal Palace at the Emirates. Defenders Laurent Koscielny and Nacho Monreal could make their first appearances of 2018 after shaking off injuries. German playmaker Mesut Ozil could return after a spell out with a knee problem, whilst youngster Ainsley Maitland-Niles is expected to be fit despite suffering about of flu. Forward Alexis Sanchez will not be involved due to his imprending move to Manchester United. Defender Joel Ward is available once again after a month out with a groin problem, whilst midfielder Yohan Cabaye could feature after recoving from a knock. Ruben-Loftus Cheek is expected for an extended spell on the sidelines with an ankle problem, where he will be joined by Andros Townsend (also ankle), Mamadou Sakho (calf), Jordon Mutch, Jeffrey Schlupp, Jason Puncheon, Connor Wickham and Scott Dann (all knee). Premier League game between Burnley and Manchester United at Turf Moor. The hosts could have Scott Arfield back available following a hamstring strain, though veteran striker Jon Walters will be missing for up to eight weeks after undergoing knee surgery. Defender Steven Ward (knee) and striker Chris Wood (leg) are on right in schedule with their recoveries but they will not feautre in this one, meaning that Charlie Taylor and Sam Vokes should start, despite the former nursing sore ribs. Long-term absentees Tom Heaton (shoulder) and Robbie Brady (knee) remain sidelined. United have Ashley Young available once again after he completed a three-game ban, though Luke Shaw is expected to start at left-back. Daley Blind, Eric Bailly, Michael Carrick and Zlatan Ibrahimovic will all miss out, whilst Playmaker Henrikh Mkhitaryan will not feature as he closes in on a move to Arsenal. 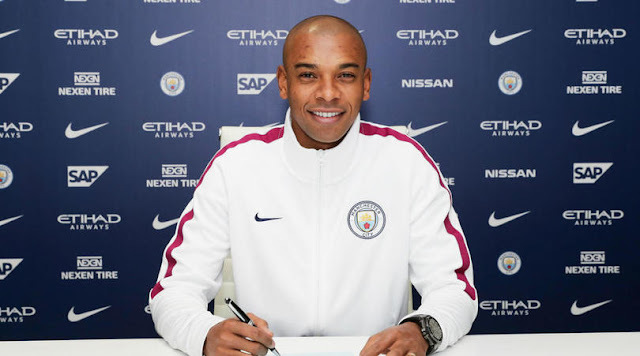 Manchester City midfielder Fernandinho has signed a two-year contract extension to keep him with the Premier League leaders until June 2020. The Brazil international has been a mainstay of Pep Guardiola's side as City have established a 12-point advantage in England's top flight this term. 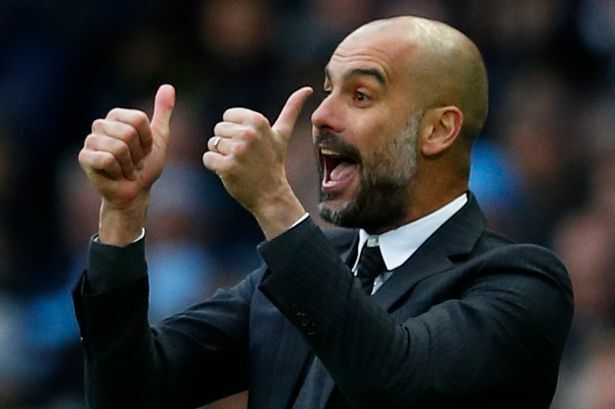 Former Barcelona boss Guardiola has labelled the 32-year-old as "one of the best three holding midfielders in the world" and insisted he would not have got into this City team during his playing days due to Fernandinho's quality. With Pep in charge, I feel sure we can win significant silverware and, importantly, we will try to do it playing attractive, attacking football. As Yaya Toure moves towards an expected exit when his deal expires in June, City have been linked with moves for Shakhtar Donetsk's Fred and Nice's Jean Michael Seri to bolster an area of Guardiola's squad where Fernandinho reigns supreme. Pep Guardiola's side saw their unbeaten start to the league season come to an end as Liverpool's 4-3 victory inflicted City's first top-flight loss in 30 matches dating back to April. 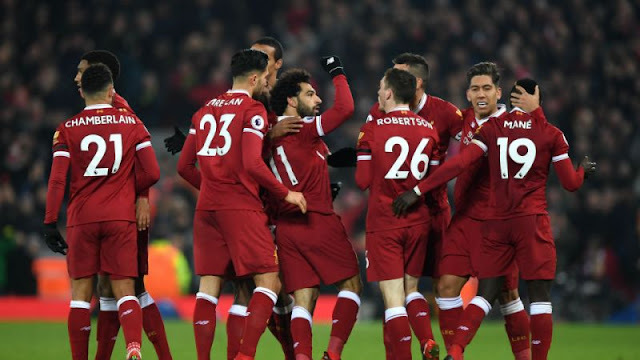 Manchester City had arrived on Merseyside with pundits predicting they would go through the entire season without defeat, but instead they were blown away by Liverpool, who raced into a 4-1 lead before conceding twice in the final moments. 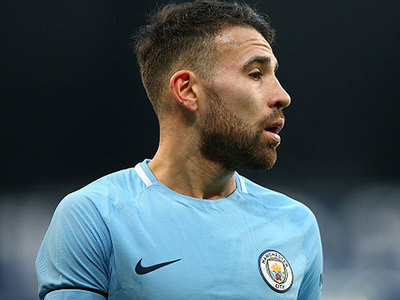 Otamendi was part of City's defensive meltdown as they failed to deal with Liverpool's pace and movement. But the Argentina centre-back is confident City, who hold a 12-point lead over second placed Manchester United, will put that behind them and get back on track when Newcastle visit Eastlands on Saturday. Chelsea want to sign Edin Dzeko and are willing to spend £44million to land the former Manchester City man and his Roma teammate Emerson Palmieri. That is according to Calciomercato,who say Antonio Conte is mulling over a sensational double swoop for the pair. Dzeko spent four and a half years at the Etihad winning two Premier League titles and scoring 72 goals in 189 appearances for the club. He has since netted 61 times in 116 games for Roma including 39 goals during the 2016-17 campaign. Bale has been a long-time target for United but is believed to have turned down moves to Old Trafford twice before. 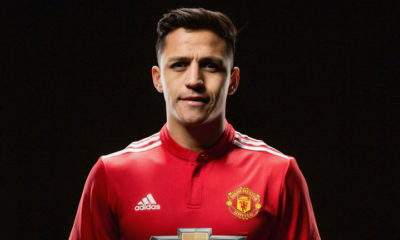 It had been thought, however, that Jose Mourinho was prepared to end his interest in the Wales star, due to the imminent arrival of Alexis Sanchez from Arsenal. Don Balon claims that the 29-year-old has told Real that he will be joining Sanchez at Old Trafford, although whether that will be in January or the summer is unclear at this stage. The former Tottenham attacker has struggled for injuries over the past 12 months and has been rumoured to be part of a dramatic shake-up of the playing and coaching staff at The Bernabeu. 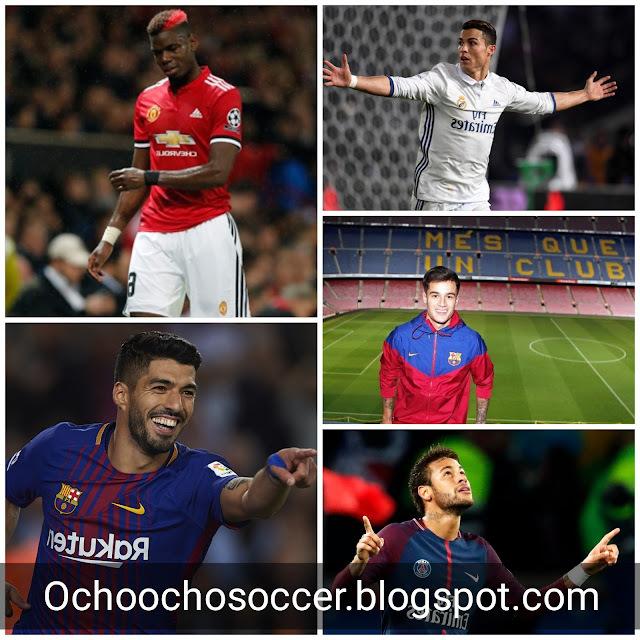 Real president Florentino Perez is said to be ready to wield the axe after a disastrous La Liga title defence, with boss Zinedine Zidane and some of the clubs highest profile stars, including top man Cristiano Ronaldo, set to be moved on. With three goals in his first 14 games, Suarez was in his worst form for the club, one of the few players in Ernesto Valverde’s side who was struggling as the Catalans established a firm lead in the title race. Barcelona were winning despite him, not because of him, as they often did in his first three seasons at Camp Nou. With 121 goals in his first 147 matches, helping his side to two league titles, a Champions League trophy and three King’s Cups, among other silverware, everything Suarez touched turn to gold, until this season. Barcelona have defended payments made to a charity run by Lionel Messi and insist they did not act as part of the player’s salary. 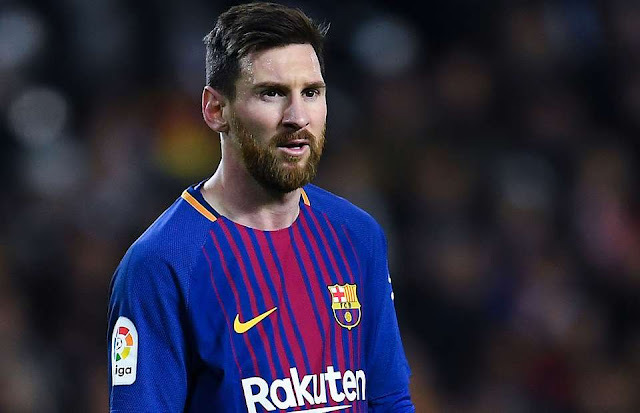 The Catalan giants made the payments to Lionel Messi’s foundation between 2010 and 2013 with German media outlet Der Spiegel alleging they had seen club documents which may have acted as a salary. The report claimed that a 2016 audit saw the club pay the foundation and Messi’s father Jorge millions, while the player’s advisers gave the authorities €12m in unpaid taxes despite insisting they were not part of his salary. Shenhua fans disappointed with Tevez's lucrative spell with the club are unlikely to be pleased with his latest remarks. Carlos Tevez has labelled his time in the Chinese Super League with Shanghai Shenhua as a "holiday". 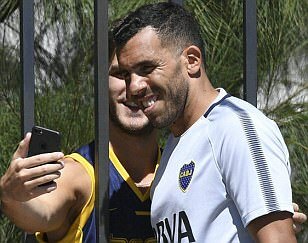 Forward Tevez secured a return to Boca Juniors for a third spell with the club this month, having left his boyhood club for China in December. The former Manchester United, Manchester City and Juventus striker scored only four goals in 16 Chinese Super League appearances, receiving criticism for a supposed lack of effort. Reportedly earning $40million-a-year in his time in the CSL, Tevez was disappointed about his time in the far east, though he is able to see the funny side. 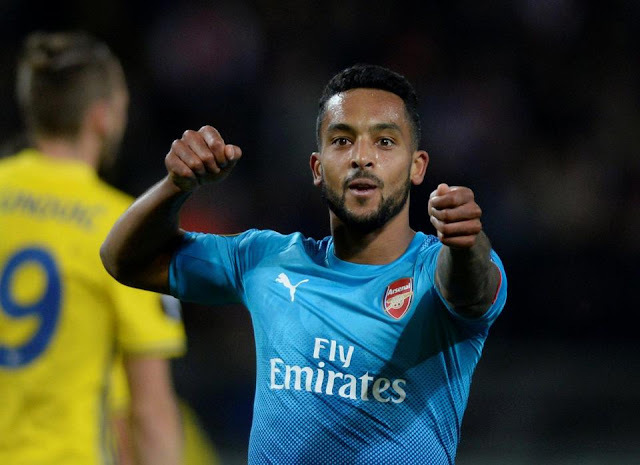 It’s looking more and more likely that his five minute spell at Bournemouth last weekend was Theo Walcott’s last appearance for the club. After emerging as the favorite to land Arsenal’s current longest-serving player over the last few days, Everton are apparently close to completing the signing, according to The Guardian. The Mirror’s John Cross seems confident of the transfer as well. It’s hard to blame Walcott for wanting out - he’s made just six appearances in the Premier League this season, all as a substitute. As he enters the final stage of his career, a fresh start makes sense. This became especially apparent once it was clear he didn’t factor into Arsene Wenger’s plans recently, despite Arsenal’s desperate need for pace and width, as well as some brief returns to a more traditional 4-2-3-1 formation better suited for Walcott’s skill set. With rumors buzzing of new signings up front, it’s easy for Walcott’s departure to beovershadowed. 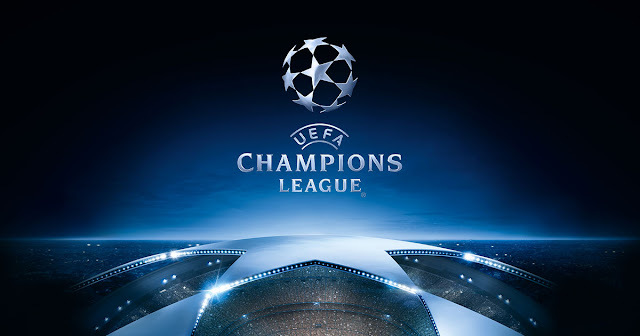 Manchester United are in the mood, they are among the most clinical sides around. A good performance from the visitors in the first period would have left new manager Paul Lambert pleased with what he witnessed from the stands, but it was not enough to get something out of Old Trafford. And Stoke had their chances. 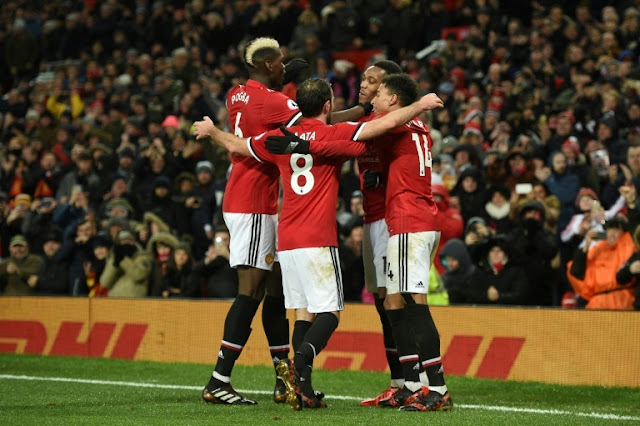 After Antonio Valencia put Manchester United ahead with a superb left-footed effort, the Potters reacted well and pushed up the pitch, but they lacked the edge the Red Devils seem to have in abundance when in the right mind-set. Cristiano Ronaldo has told his Real Madrid team-mates he wants to return to Manchester United in the summer. Spanish publication 'AS' reports that the Portuguese has made the decision to leave Real Madrid, with a return to Old Trafford now his priority. Ronaldo looks set to dominate the back pages once again this summer. 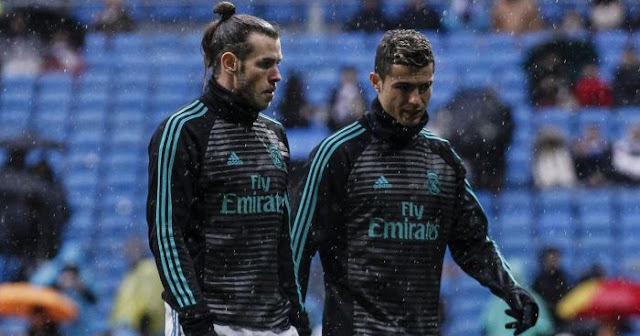 The aforementioned source claims that the Real Madrid star feels deceived by the club's hierarchy after being promised a new deal that never came to fruition. It claims that Real president Florentino Perez promised the 32-year-old a new contract after 'Los Blancos' defeated Juventus in last season's Champions League final, but over six months on from that triumph, talks are still yet to take place. 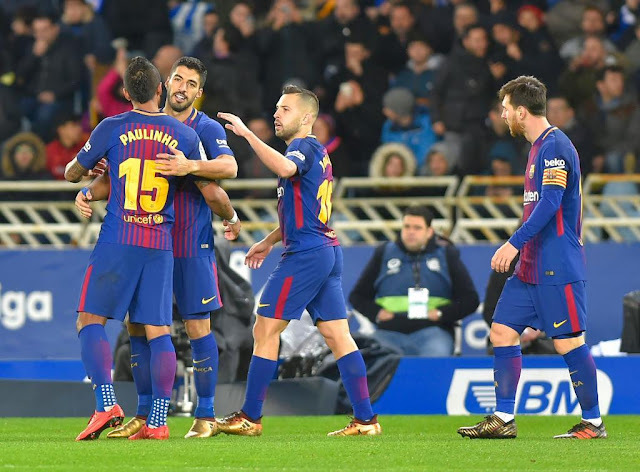 Luis Suarez helped Barcelona overcome a two-goal deficit to claim a 4-2 win over Real Sociedad on Sunday night in their first league win at Anoeta since 2007. Alex Oxlade-Chamberlain credited a second-half "rampage" from Liverpool with ending Manchester City's unbeaten run in the Premier League. The former Arsenal midfielder set in motion a thrilling 4-3 win for Jurgen Klopp's men, who responded to Leroy Sane's equaliser five minutes before half-time by putting City to the sword after the break. Roberto Firmino caught out John Stones to get on the end of Oxlade-Chamberlain's throughball and dink a finish past Ederson, the first of three goals in a dizzying nine-minute spell, with Sadio Mane and the excellent Mohamed Salah also getting in on the act. PSGlatest projects is to 'Frenchify' its staff and squad as much as possible. 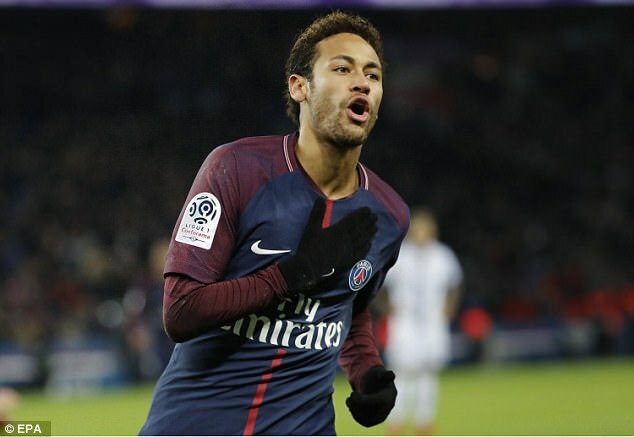 Along with signing world-class players, such as Neymar, there must be a quota of French footballers, the best of the best, like Kylian Mbappe. In other words, Unai Emery's side want to be the backbone of 'Les Bleus' and to achieve this, they must sign the best. There is no midfielder better than Chelsea's N'Golo Kante. According to reports in 'L'Equipe', the French leaders will go with all their firepower to secure his signature next summer. An ambitious plan, but nothing new, with PSG having been linked with a move for the diminutive midfielder in the past. 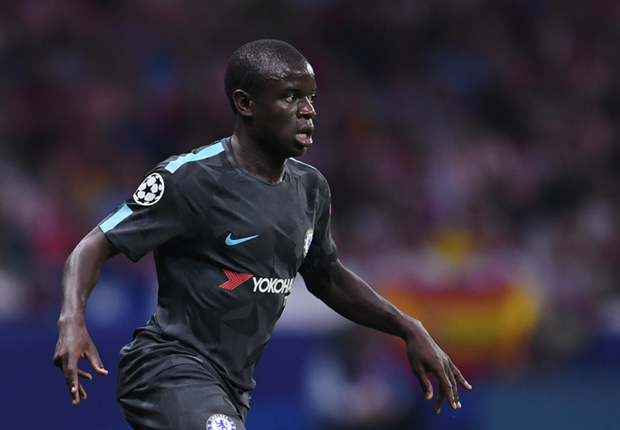 Kante emerged as one of the best midfielders in English football after winning a shock Premier League crown with Leceister City in 2016, before firmly cementing his place among the best by securing a second winner's medal, this time with his current employers, last year. Atletico Madrid goalkeeper Jan Oblak said he has not held talks with the club regarding a new contract. 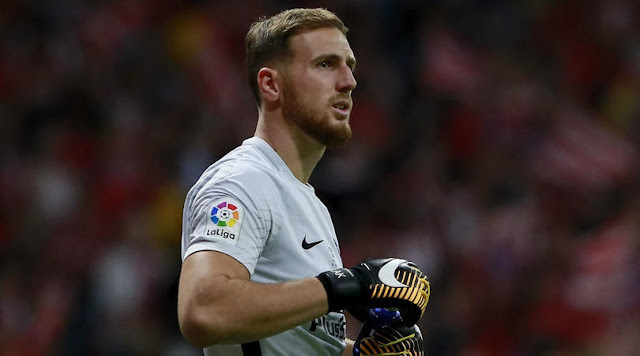 Regarded as one of the best keepers in the world, Slovenia international Oblak has been linked with the likes of Paris Saint-Germain and Liverpool. The 25-year-old, who starred in Atletico's 1-0 LaLiga win over Eibar on Saturday, said he has not discussed a fresh deal. "I have a contract until 2021, but we have not talked about that yet," Oblak said. "First you have to concentrate on the field. What happens, it will happen, but it does not depend on me." Oblak's exploits have helped Atletico up to second in LaLiga this season, six points behind leaders Barcelona after 19 games, while defending champions Real Madrid are 16 points off the pace in fourth position. Alexis Sanchez will earn up to £60,000-a-week more if he opts for Manchester United over rivals City, claims the Sun. 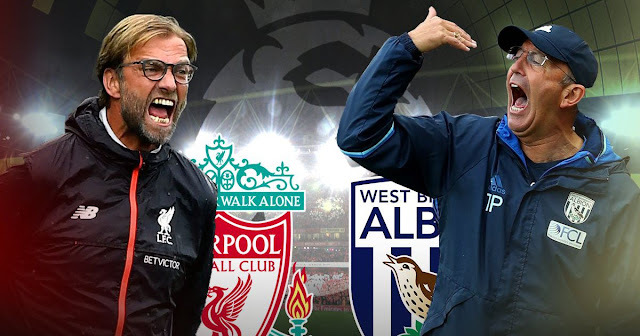 Guardiola is pleased to seeÂ the high-possession, high-pressing and high-intensity approach he espouses has found popularity elsewhere in the Premier League, complimenting both Liverpool and Tottenham Hotspur on the way they play. 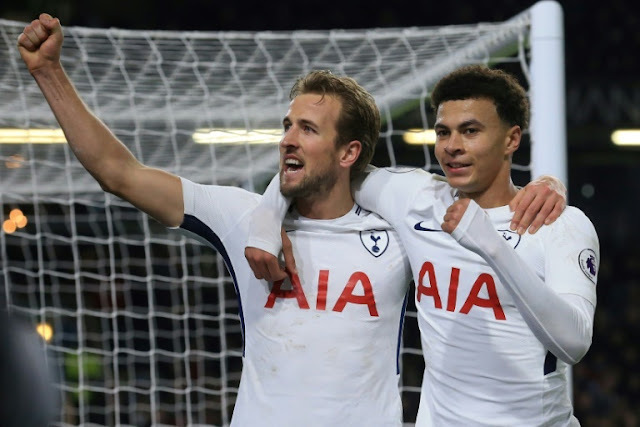 Harry Kane scored twice as Tottenham beat Everton to one side at Wembley on Saturday, writing his name into the record books in the process. Son Heung-Min and Christian Eriksen got the other goals as Mauricio Pochettino's side ran out 4-0 winners. Real Madrid were once again left frustrated after failing to score despite ample chances in front of goal. The Spanish giants could also feel aggrieved as a disallowed goal and a strong penalty appeal didn't fall in their favour. Gareth Bale headed in a goal in the 18th minute of the game which was ruled offside by officials, much to the players' protests. Replays show that the call was a lot closer than originally thought, but that it looked like a correct decision nonetheless.. 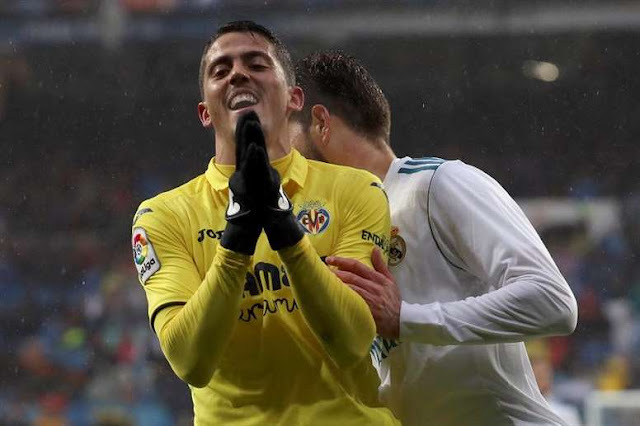 In addition, the Madrid club had a penalty shout for handball against Villarreal's Alvaro shot down by the referee who didn't believe it was intentional, with the defender having little time to react to a deflection off Bale. The Colombian defender arrived from Brazilian club Palmerias earlier in the week after the two clubs agreed €11.8m (£10.4m) deal to sign Minaduring the winter transfer window. The two clubs had a deal for the defender to move to the Catalan giants after the World Cup in the summer for €9m, but the La Liga outfit were keen to bring forward the deal owing to Javier Mascherano's imminent departure to join Chinese Super League club Hebei Fortune. Palmeiras were reluctant to allow the defender to leave earlier than scheduled but sanctioned the move after they were offered €3m more than the initially agreed upon price. According to Spanish publication Sport, the defender completed his medical on Friday, while also getting his first taste of the Barcelona training ground. The five titles in 2017 had the world believing it was only the beginning of years of success, but for many, Real Madrid have now fallen into oblivion. While fans may have their sights set on who Real may acquire this winter window, the club have set them much further. The strategic decisions ahead will not only have to serve their purpose on the pitch, but also economically, a model the club has not changed since 2000. Signs from the team's play this year have been worrying to say the least, and it has become clear that a need for a mega star to reinvigorate the team is crucial. Barcelona's quest for a fourth consecutive Copa del Rey title began with a finely poised round of 16 tie at Balaidos. 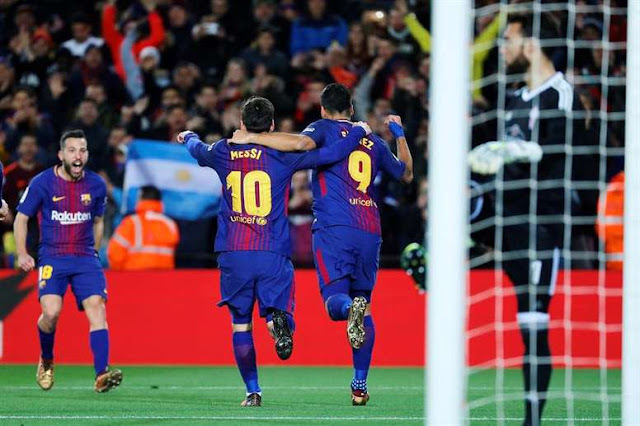 The 1-1 result in the first legmeant there was all to play for at the Camp Nou, but a lightning start from the hosts, with Messi the architect, soon ended Celta's hopes. A favourable result at home meant Celta had their work cut out to cause an upset, but Lionel Messi had other plans. The Argentine looked lively from the off, eager to get involved and testing Sergio Alvarez with a low strike early on. The danger signs were there, and he made no mistake when given a second chance, sweeping a half volley into the bottom corner after picking up a pocket of space on the edge of the box. Today Chelsea Football Club announces the appointment of Guy Laurence as our new Chief Executive. We look forward to Guy joining the club during an exciting period for Chelsea on and off the field. 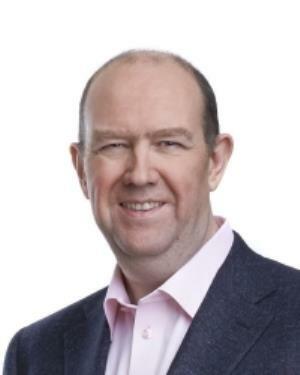 He will be working with the owner and the Board to increase our commercial revenues and maximise digital opportunities, identifying new ways to best serve our supporters here in the UK and further grow our international fan base.’ Guy has excellent pedigree in senior roles, most recently as President and CEO of Rogers Communications, one of Canada’s largest communications and media businesses. United and Sevilla are locked in a bitter ticket war over their forthcoming Champions League last-16 clash with the Spanish club saying they will report United to UEFA for not offering their fans enough seats. Sevilla claim that United have not followed UEFA’s ticket guidelines in allocating 5% of the tickets to their supporters and had been given just under 3,000 tickets when they should have had 3,800. Sevilla are also upset their fans are being charged £89 but United say that is because the Spanish club declined to lower their own prices. Sevilla are charging United fans between £89 and £133 pounds ($120 to $179) to watch the first leg at the Ramon Sanchez Pizjuan on February 21, which the English club considered excessive. “Sevilla will subsidise the tickets of the fans who go to Manchester so they will not pay more than the €60 established in the first place,” read a Sevilla statement. 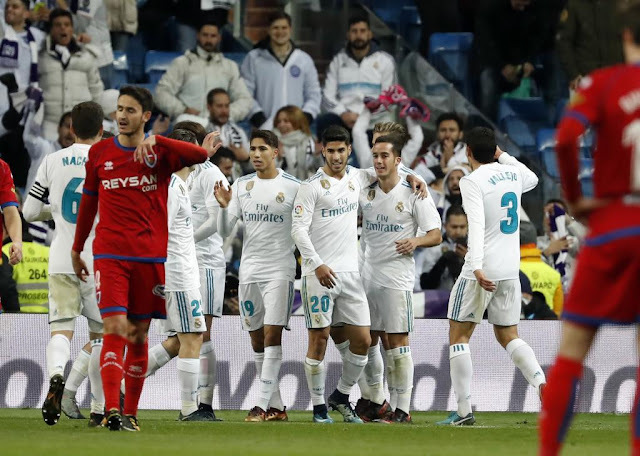 A Lucas Vazquez brace helped send a very unconvincing Real Madrid to the Copa del Rey quarterfinals after a 2-2 draw in their Round of 16 second leg with second division side Numancia on Wednesday night at the Estadio Santiago Bernabeu in Madrid. The result gave Real a 5-2 win on aggregate after last week's 3-0 first-leg triumph in Soria.Lucas Vazquez's brace was offset by a pair of goals from Numancia striker Guillermo, who came off the bench in the 41st minute for the injured Higinio and bagged himself two goals for the visitors.The result will only increase the criticism that Real Madrid boss Zinedine Zidane has been receiving in recent weeks. Outside of a 20-minute window at the start of the second-half, there was little to feel good about from the Real perspective and extended the side's winless streak to three. After spending considerably less money in recruiting players, several clubs opt to sell prized assets in order to earn a handsome profit. Here are the 10 biggest mark-ups in European football.